Description: NASA's SR-71 is being towed to its hangar with the Linear Aerospike SR-71 Experiment installed. 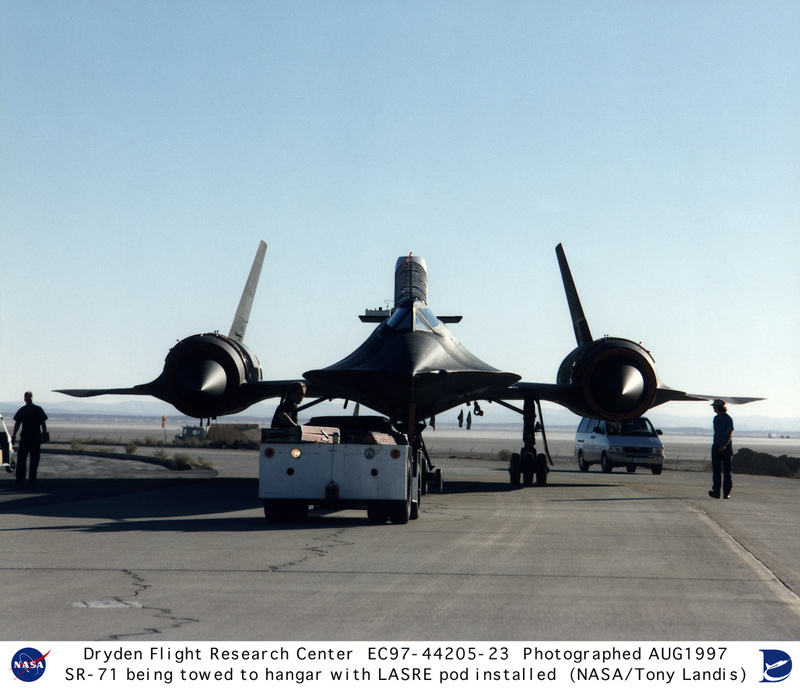 The experiment was mounted on the SR-71 on Aug. 26, at the NASA Dryden Flight Research Center, Edwards, California, in preparation for its first flight. Keywords: SR-71; Linear Aerospike Experiment; LASRE; X-33; Advanced Technology Demonstrator; Rocketdyne; Lockheed Martin; Dryden Flight Research Center; aerospike; linear aerospike rocket engine; Linear Aerospike SR-71 Experiment.